Part of one of Austria’s largest ski resorts, located in the much-beloved Salzburgerland province, Saalbach is the ideal holiday destination for thousands of visitors every year. This is, in part, thanks to its perfect placement and connection with another local village to form the world-renowned Skicircus. For those looking to experience snow sports on a grand scale, Saalbach is the place to go. The many attractions available in the Saalbach area include its ski-ready slopes, as well as its proximity to other local sites of beauty. The village itself is outfitted in charming Austrian style, reflective of when the first slopes were opened after World War 2. Featuring countless excellent restaurants, globally-renowned resorts and slopes for all challenges and difficulty levels, there’s much to do and explore in and around Saalbach, with the village more than worth a visit even out of the ski season to soak in the local atmosphere and alpine charm. Saalbach is home to nearly 3,000 residents, maintaining its status as a perfectly proportioned alpine village. 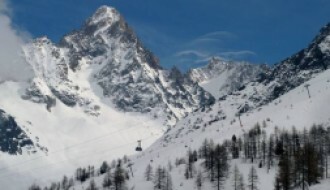 During ski season, the number of residents swells exponentially thanks to an influx of holidaymakers, though tourism is on the rise whatever the season. 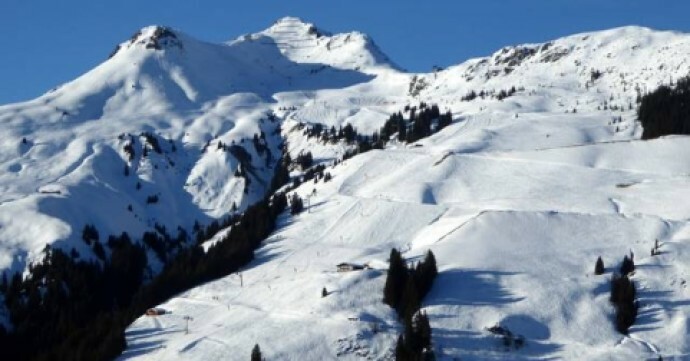 A typical winter season for Saalbach runs from early December to late March, with some skiing and slopes still available in early April depending on the weather. As such, these months are the time Saalbach is at its busiest, with visitors enjoying all that the Skicircus and slopes have to offer. Outside of the colder months, Saalbach is also famous for those who enjoy hiking, walking or even rock climbing and mountain biking, thanks to the rugged surrounding area. Thanks to the beauty of the village and amazing vistas surrounding the resort, Saalbach is never truly ‘offseason’ for visitors. Many of the resort's 370 plus kilometres of slopes are designed for beginner to intermediate level, with a few black runs sprinkled in for those looking for more of a challenge. This focus makes Saalbach the perfect location for those new to winter sports, or for families looking to ski as a group. With an average snowfall of 73cm, totalling 620cm and with much of it falling in December, Saalbach is the ideal destination to get away for the holidays; with bright, fresh snow and crisp sunlight in equal measure. For updated snow and weather reports, take a look at our Saalbach resort guide here. 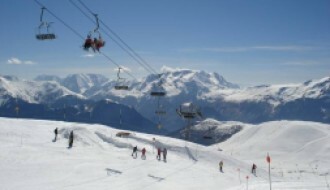 For those less sure on the slopes, there are plenty of other seasonal winter sports to enjoy, such as sledging, or you can enjoy the indoor amenities such as spas and restaurants while taking in the view. With the resort featuring on-site spa facilities and the village itself holding opportunities for shopping, there’s something for everyone. If you prefer outdoor excursions outside the winter months, there are a variety of different walks to enjoy, including the Der Talschluss circuit, featuring a walk over a miles-high suspension bridge plus plenty of interaction and activities for young children and families. For couples or lone travellers, there are a variety of outdoor pursuits and tour groups available. Thanks to its connection to other local villages, staying in Saalbach doesn’t restrict you to one area, and for those looking to explore all the region can offer, travel between each village is relatively easy. Explore the local culture, enjoy Austrian cuisine and discover panoramic views, stunning landscapes and unique flora and fauna before returning to one of the region’s fantastic all-inclusive resorts to relax and unwind after a long day. Thanks to Saalbach’s desirable location, it’s at the top of the list for many property buyers, especially those looking to invest in a well-established location with an excellent reputation. Though small in size, the village hosts a variety of different properties, from modern constructions through to old-style Austrian buildings originating from the early days of Saalbach as a resort. Thanks to Saalbach’s connectivity to local sites and the Skicircus, the site is already established as the perfect destination for holiday goers, though the area in and around the resorts continues to be improved upon and further modernised to meet the requirements of their audience. Travelling to Saalbach is relatively easy, with a variety of options available to match your exact needs. Flying to the local airport, Salzburg, is one of the ideal methods of transport and it is just 90km away. 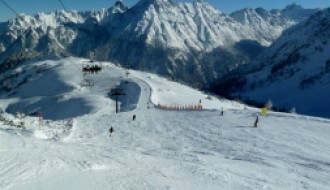 From there, a shuttle, taxi or hire car along to L111 takes you directly to Saalbach. Depending on the time of year, if you choose to travel on B roads, snow chains may be required. Alternatively, train lines are also available close to Saalbach. There’s no mistaking that Saalbach is one of the top ski sites in Austria, with the charm of an Alpine village combined with the modern amenities provided by luxury resorts and local restaurants. For holidaymakers or investors, Saalbach is a top pick.